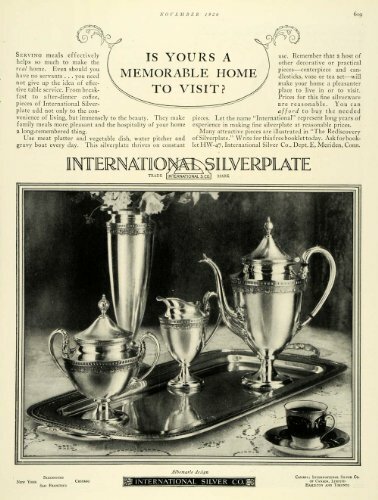 This is an original 1926 black and white print ad for International Silverplate, a product line by the International Silver Company in Meriden, Connecticut. For sale are handcrafted earrings made from International Exquisite flatware packaged for you in a nice gold box. 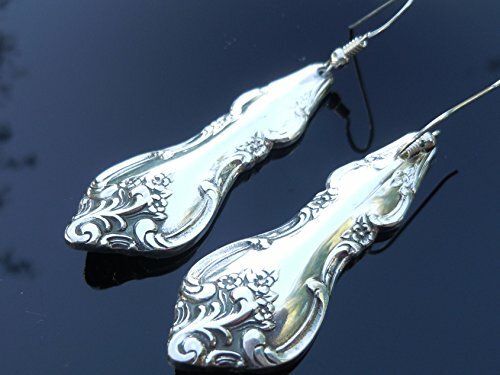 The earrings are designed with two International Exquisite Flatware handles and attached to new sterling silver ear wires. The earrings dangle approximately 2 1/2" inches that is measuring with the hook. 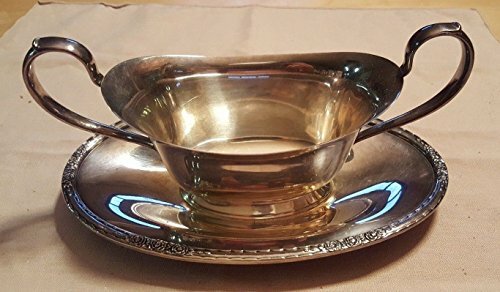 We design all of our items with gently used vintage silverware. For sale are handcrafted earrings made from International Heritage flatware packaged for you in a nice gold box. 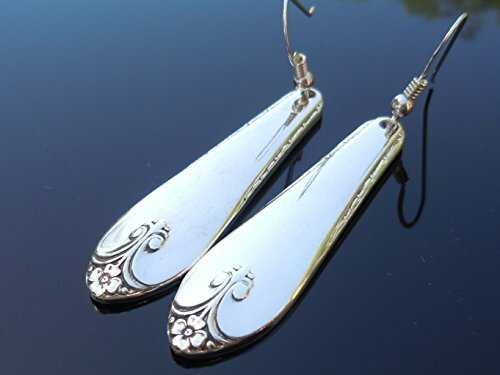 The earrings are designed with two International Heritage Flatware handles and attached to new sterling silver ear wires. The earrings dangle approximately 2 1/2" inches that is measuring with the hook. 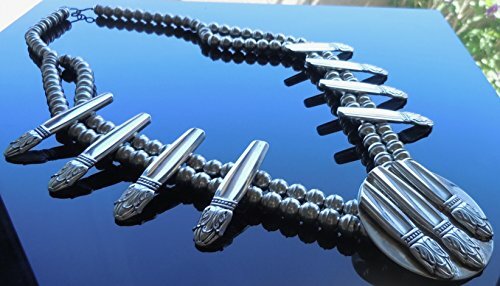 We design all of our items with gently used vintage silverware. 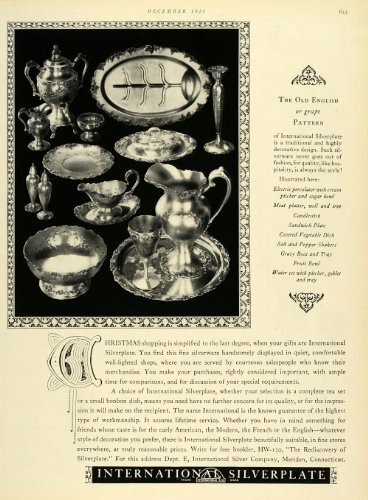 This is an original 1928 black and white print ad promoting the Electric Percolator with cream pitcher and sugar bowl, meat platter, candlestick, sandwich plate, covered vegetable dish, salt and paper shakers, gravy boat and tray, fruit bowl, and water set with pitcher, goblet and tray from International Silver Company located in Meriden, Connecticut. 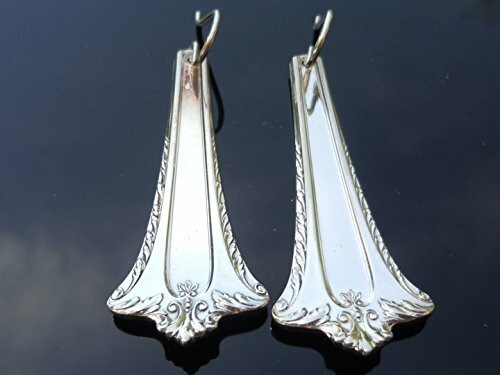 For sale are handcrafted earrings made from International Admiral flatware packaged for you in a nice gold box. 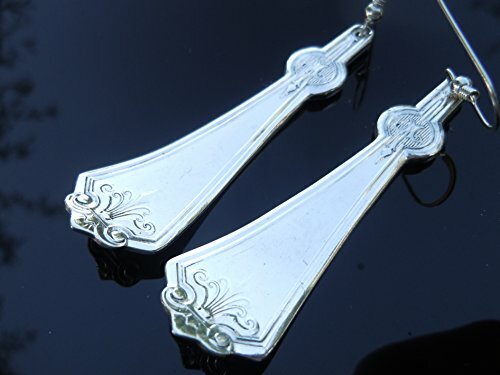 The earrings are designed with two International Admiral Flatware handles and attached to sterling silver ear wires. 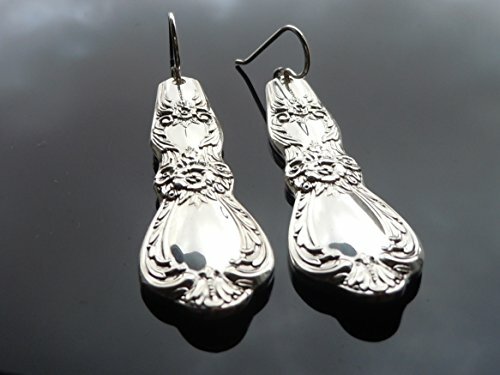 The earrings dangle approximately 2 1/4" inches that is measuring with the hook. 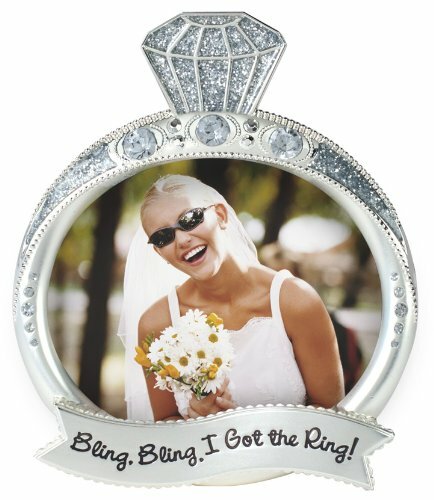 We design all of our items with gently used vintage silverware.